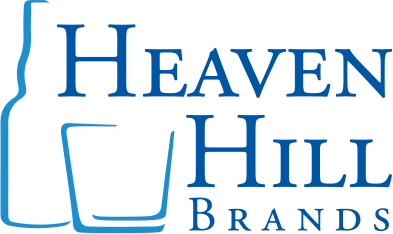 Heaven Hill Brands is America's largest independent family-owned and operated producer and marketer of distilled spirits. The idea of family is a guiding principle at Heaven Hill, providing continuity of leadership and consistency of mission in every part of our business. Since the company was founded in 1935, the Shapira family has been a steady hand at the helm of Heaven Hill, through three generations and a multitude of changes to the industry. From the time the five founding brothers began the company after Prohibition, to its growth and diversification under second generation family members Max and Harry Shapira, to its current position as an acknowledged industry leader, Heaven Hill has always taken great pride in being family run. It has grown to be the nation's largest independent family-owned and operated producer and marketer of distilled spirits products. And with its third generation of family management now in place with Max Shapira's son Andy Shapira, and daughter Kate S. Latts and her husband Allan Latts, the company's unique position in the industry is assured well into the future. Heaven Hill, under the three generations of Shapira family leadership, has steadily built the business through internal brand development, line extensions, agency relationships and strategic acquisitions. Now the country's sixth largest spirit supplier, much of the growth has come during Max Shapira's tenure as president. Returning to his family business in 1971 after a period on Wall Street, Max oversaw a period of dynamic expansion in an often-turbulent industry climate.